The new rules will be in place by 1 July 2018. National Broadband Network (NBN) resellers are set to come under a new set of enforceable rules from mid-next year around how they move end customers on to the network. The Australian Communications and Media Authority (ACMA) said on 21 December it would impose the new rules on NBN retail service providers (RSPs) in a bid to improve the consumer experience in moving to the NBN. According to the Government’s telco industry regulator, 55.7 per cent of all network-related complaints about the NBN were about service quality for the three months to 30 June 2017, according to analysis by the ACMA. At the same time, a further 44.3 per cent of network-related complaints were about connection issues. Meanwhile, complaints about faults took up to 19 calendar days on average to resolve, whereas complaints about connection issues took up to 28 calendar days to resolve, the ACMA’s research found. Additionally, it took up to 45 calendar days on average for customers to have their old voice and data services moved across to the network. “We have had strong concerns for some time about how telcos are helping consumers move to the new network,’ ACMA chair, Nerida O’Loughlin, said. “These concerns have been borne out by our recent analysis of industry’s own data. “This evidence – and the rapid increase in complaints to the Telecommunications Industry Ombudsman (TIO) – shows that many telcos are not stepping up to get the right information to consumers and resolve migration issues quickly and effectively,” O’Loughlin said. The new rules will specify the minimum information that telcos must provide about their network services before they sign consumers up, and specify minimum standards for telcos’ complaints-handling processes and a requirement for telcos to report their complaint numbers to the ACMA so that changes can be monitored. They will also require telcos to ‘line test’ new services on the network to ensure that lines are working and that faults are identified early, and require consumers to be reconnected to legacy network services, if that fall-back is needed until their new network service is successfully connected. The ACMA stressed that unlike co-regulatory industry codes, the new rules will be immediately and directly enforceable by the ACMA. “If a telco breaches an industry standard, the ACMA can commence court proceedings seeking remedies such as injunctions and civil penalties of up to $250,000. For breaching a service provider rule, the maximum civil penalty a court can impose is $10 million. There are no pecuniary penalties for breaching an industry code,” the Authority said in a statement. Consultation on the detail of the new rules will commence in early 2018, with new rules in place by 1 July 2018. O’Loughlin said that while the new rules focus specifically on NBN RSPs, the ACMA welcomes the work being done by the Australian Competition and Consumer Commission (ACCC), which is looking at wholesale service standards on the network. The ACCC released a discussion paper on 18 December, exploring issues relating to service providers’ access to rebates or compensation when NBN Co fails to meet its wholesale service commitments. 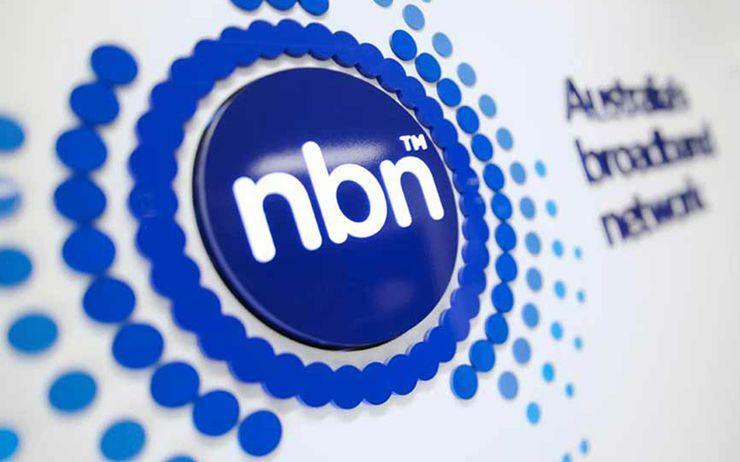 The standards under scrutiny are a key part of the commercial arrangements between NBN Co and internet service providers (ISPs) that affect NBN customer experiences. The inquiry will consider whether to make a final access determination (FAD) that specifies service levels or other non-price terms and conditions. It will also consider whether interim regulated terms should be made. Read more Is the NBN failing Aussie farmers? If the ACCC goes ahead with such a determination, it would see the specified service levels, terms and conditions written into the commercial contract between NBN Co and resellers, known as the wholesale broadband agreement (WBA), set out under Government regulation. For its part, the Australian Communications Consumer Action Network (ACCAN) has welcomed the ACMA’s new rules for RSPs, suggesting that its analysis confirms its understanding of the issues consumers have been raising about NBN migrations. “The experience of migrating to the NBN has shone a light on the inadequacies of the current regulatory framework to support the delivery of essential telecommunications services,” said ACCAN CEO, Teresa Corbin, said.